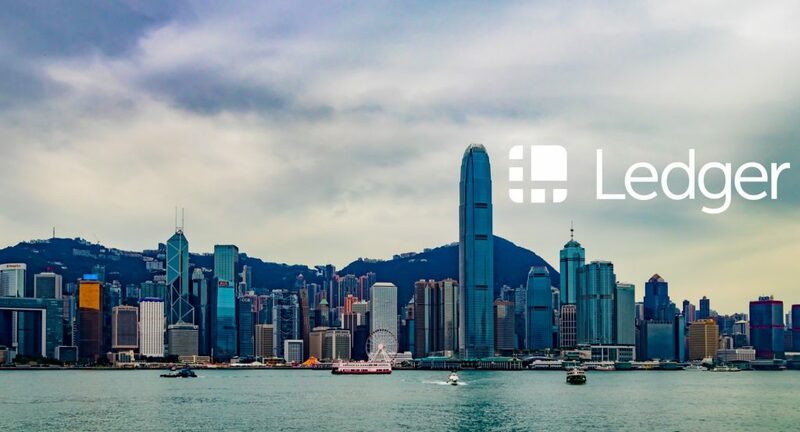 Hong Kong – October 31, 2018 – Today, Ledger, a global leader in securing crypto assets, announced that it has expanded its global presence to Hong Kong and named Benjamin Soong Head of Asia Pacific (APAC). Leading this new region, Soong will oversee all of Ledger’s APAC operations, as the company expands to meet increasing demand for both the Ledger Vault a multi-authorization cryptocurrency self-custody management solution and Ledger’s trademark hardware wallet the Ledger Nano S.
Built off the same infrastructure as the Ledger Vault, the Ledger Nano S, the top selling crypto hardware wallet globally isolates private keys from the owner’s computer or smartphone, which are easily hackable, in order to protect the owner’s cryptocurrencies. The wallets, which support over 40 cryptocurrencies, enable users to check their accounts, send and receive cryptocurrency payments with much less risk. Soong brings nearly two decades of sales, business development and operations experience to the role. Prior to joining Ledger, he held positions of increasing responsibility at S&P Global Market Intelligence, including most recently as Managing Director, Head of Asia Pacific Sales. Earlier in his career, Soong worked in finance and accounting roles at KPMG and Deloitte. For more information about Ledger and its people, please visit the People behind Ledger webpage.